The second aircraft has joined the Falcon 8X flight test campaign as the ultra long range trijet continues to pass key development milestones. Falcon 8X s/n 02 took to the skies from Dassault Aviation’s Bordeaux-Mérignac facility on Monday, March 30 at 3:24 PM local time with test pilots Hervé Laverne and Etienne Faurdessus at the controls. The flight plan was similar to that of the maiden flight on February 6. After initial checks on the digital flight controls and engine system, the pilots took the aircraft to 43,000 feet and Mach 0.8 for performance tests. After the test routine, the aircraft ran a series of additional checks before touching down after 2 h and 45 min in the air. 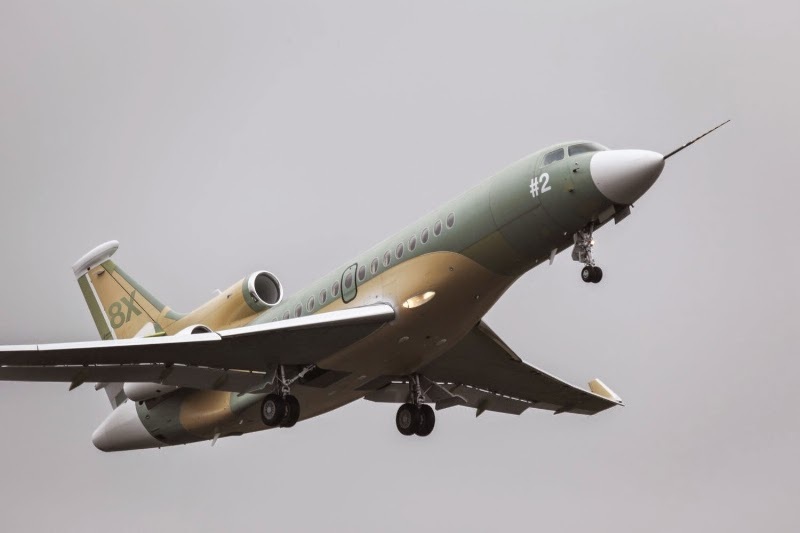 The aircraft will now join s/n 01 at the Dassault flight test center at Istres, near Marseille, where it will mostly serve for performance testing. The full program will total about 200 flights and 500 flight hours through final EASA and FAA certification which is anticipated in mid-2016. Unveiled in May 2014 at European Business Aviation Convention & Exhibition (EBACE), the latest addition to the growing Falcon business jet family rolled out on 17 December. 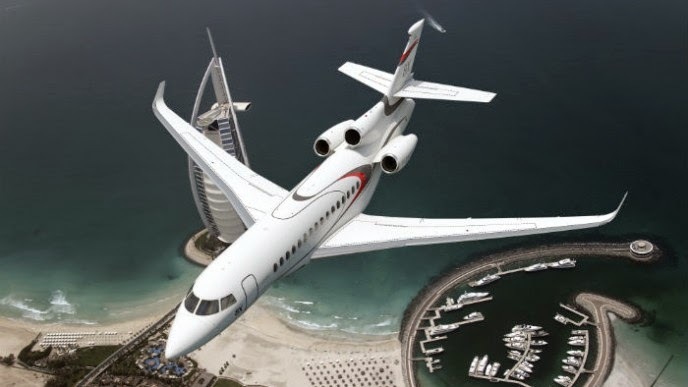 It will offer the greatest range and the longest cabin in the Falcon line, along with the most extensive selection of cabin configurations available on any business jet.